A Batesville native, former BHS valedictorian, and Butler University honors graduate, Anne brings to BCEF a vast background in public relations, administration, and commitment to educational excellence. 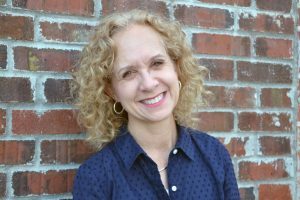 Anne’s experience includes communications positions at Hill-Rom, the Indiana Secretary of State’s Office, and the Indiana Repertory Theatre, as well as administrative work for the Indiana State Health Commissioner. Anne has been a freelance writer and editor for many years and is a private tutor. She is passionate about working with the Foundation to ensure that our schools can provide essential and innovative learning experiences for all of our students. She and her husband, Jeff, a Dearborn County deputy prosecutor, have six children, four of whom are BHS graduates to date.